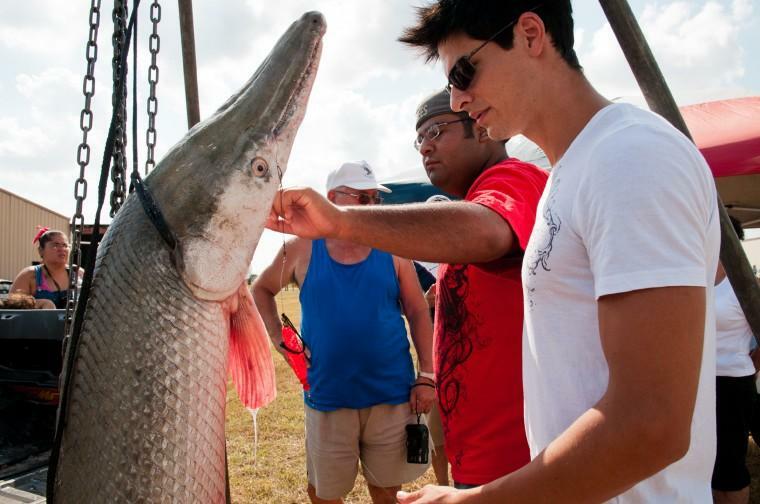 HARLINGEN — A new proposal on alligator gar could mean a statewide ban on night-time bowfishing for the increasingly popular game fish. Texas Parks and Wildlife Commission board members will vote on this and three other new regulations regarding alligator gar at their March meeting. In addition to the night bowfishing ban, a ban on harvesting alligator gar above 48 inches on the Trinity River and a lottery system to enable anglers there to take one fish above that size are under consideration. A fourth proposal would affect Valley sportsmen who target alligator gar. Anglers here and statewide would be required to report any harvest of an alligator gar within 24 hours of taking the fish, filing either online or using a mobile app similar to that currently used for eastern wild turkey. Bonds also said he had concerns about bowfishing for alligator gar, indicating new advances in crossbows may be giving those anglers too much of an advantage. Texas fisheries biologists have been increasingly concerned about potentially overharvesting alligator gar, which can live to 60 years and reach weights of more than 200 pounds. But this gar species also takes years to mature enough to spawn, and even then mature fish may go years without spawning until necessary flood conditions are right. In fact, until 2009 an angler could take as many alligator gar in Texas with rod-and-reel or by bow as they wanted. That year TPWD issued its first bag limit of one alligator gar per day per fisherman.